the rare use of a Kirow KRC1200UK in a breakdown role. 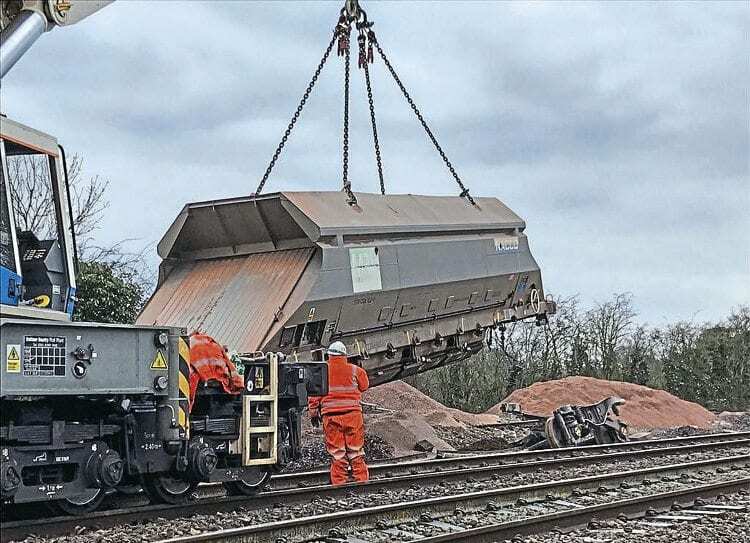 THE 7Z15/17.05 Merehead to Acton loaded Mendip Rail aggregates working derailed at East Somerset Junction (Witham Friary) on March 20, requiring an intensive five-day effort to recover three HOA and three IIA wagons and then return the damaged track to serviceable condition. This was the same location as a similar incident on November 10, 2008, involving Nos. 59202 and 59204. No. 59001, was comprised of 38 VTG Rail UK HOAs, NACCO Rail IIAs and ex-Foster Yeoman JHAs. The derailed hoppers, which included Nos. 81 70 6957 074-2, 37 70 6955 115-0 and 37 70 6955 122-6, were the 24th-29th vehicles in the train. The site was immediately quarantined awaiting the arrival of the RAIB. 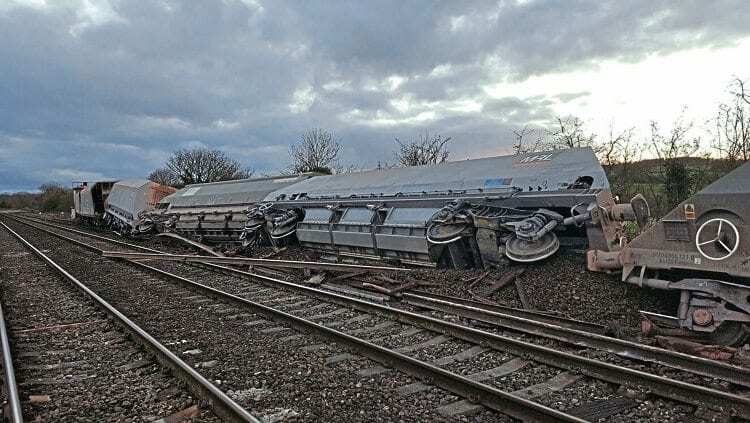 The following day the lead 21 wagons were removed to Westbury by No. 59001.